James Bond is back, and I’m not talking about a new release of James Bond ice pops. James Bond is coming back in movie form, and MGM will be behind the new release. The James Bond franchise is the third-most profitable movie franchise in history, but in spite of this, MGM’s money problems nearly derailed the Bond franchise and drove off Daniel Craig. Well, worry no longer, James Bond will be back for Bond 23 and Daniel Craig will be donning the iconic tuxedo once again. It’s not just that James Bond will be coming back, it’s that Bond will be returning in style. According to producers Barbara Broccoli and Michael Wilson, Bond 23’s director will be film-making legend and Oscar winner Sam Mendes, the genius behind American Beauty. 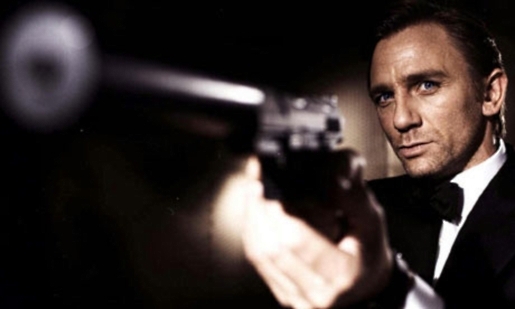 Production on Bond 23 will begin near the end of the year; Bond 23 will be released on November 9, 2012.